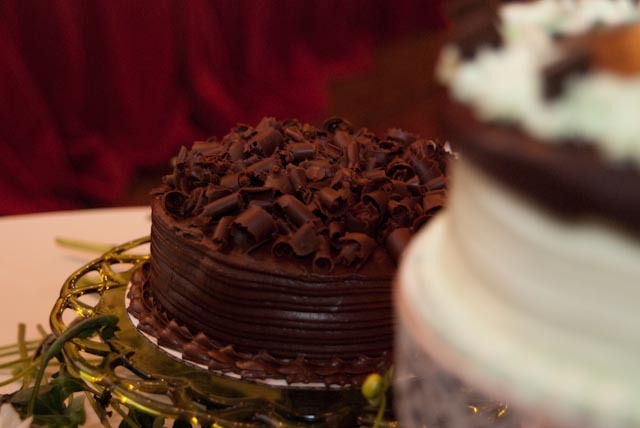 Vox Theatre - Blog: Non-Cake Wedding Cake? Friends of Christina & Jonathan made these beautiful cakes for their June wedding. 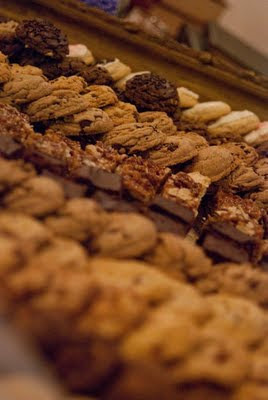 MaryBeth & Blake's guest were treated to a variety of delicious sweets, including cookies, fudge, brownies, cake pops, cheese cake and a traditional wedding cake. 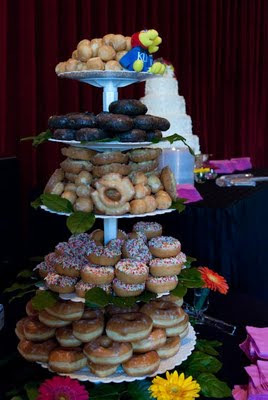 Kelly & Nick were treated to a groom's cake made of tempting donuts from the Doughnut Factory. 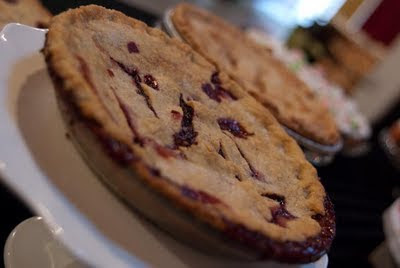 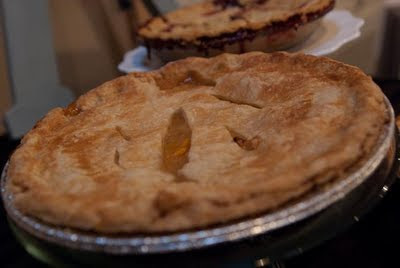 Anne & Dominic's guests were treated to two types of yummy homemade pies - peach & blackberry.